The mouth and teeth are some of the most hardworking parts of our bodies. 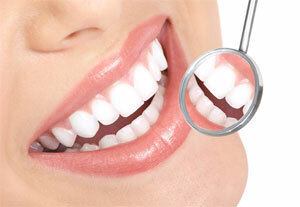 It is not only important for us to have healthy gums and teeth, it is also aesthetically appealing. The mouth has an acid-alkali balance that keeps good bacteria intact and does not let bad bacteria multiply. However, when this balance is affected, the mouth may become more acidic, creating an environment for dental decay, gum infections and bad breath. Smoking: This not only gives off an odour and results in discoloration of the lips, it also alters the pH balance, leading to a dry mouth, infections and bad breath. Smoking also results in cancer. Chewing tobacco: The leading cause of oral malignancies is chewing tobacco. If coupled with smoking and alcohol, your risk of contracting cancer multiplies manifold. Going to bed without rinsing one’s mouth: After dinner, food particles degenerate in the mouth, resulting in mouth acidity. This leads to tooth decay. Insufficient nutrition: If there is a deficiency of calcium and protein in your diet, your teeth may become weak. Medications: Certain medications may result in the discoloration of the teeth at a certain age in life. Rinse your mouth with a solution of warm water, a pinch of turmeric and salt. Use a mixture of sesame oil and salt applied on neem sticks to clean your teeth. Use clove oil as a natural antiseptic. Add a pinch of dalchini to water for a rinse. Use mint and licorice root as mouth fresheners. Fruits and vegetables with skins not only provide fibre and vitamins, but also clean teeth naturally. Regular use of a toothbrush, toothpaste and dental floss keeps the mouth and teeth healthy. Also, avoid over-sweet, over-sour and very hot or cold foods as they are not good for the mouth.